Standing at a whopping 70,000 square feet, the Crayola Experience in Orlando has much to explore. 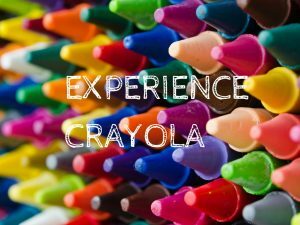 Located in the Florida Mall, this colorful attraction features 26 unique crayon-themed stations where the little artists in your family can enjoy hours of fun. Be sure to set aside at least 3 to 4 hours for this adventure. That should offer enough time to experience everything the attraction has to offer. To help make the best of your time, we picked the top 5 attractions you’ll should check out. Drip Art – This new take on a classic favorite will have kids playing for hours. Place your favorite color of crayon in the Drip Art machine and let the swirly magic begin as you watch the crayon melt on your paper. Color Magic – Do you ever wish you could control your drawings? Well in this augmented reality attraction, you can! Color your dragon any way you like, then watch it roar to life as you control its movements. Wrap it Up! – At this attraction, you can make your very own authentic Crayola Crayon. Choose your color and name it whatever you like! What will you call your color? Be a Star – Colorize yourself any way you want! When you visit ‘Be a Star’, you can pose with some of Crayola’s playful characters and color them to life. Take your personalized picture to the next level and be the star of your own t-shirt or canvas! Art Alive! – Create your own digital artwork and watch it transform into a living creature. Your creations will light up for you to interact with over the entire wall. Watch as your butterflies magically flutter to life or your fish plunge through a colorful ocean. Just a short 15 minute drive from Crayola Experience at the Florida Mall, the Rosen Inn is the perfect place to stay while you explore all of Orlando’s exciting attractions. With special amenities like free Wi-Fi, a pool, an arcade room, a playground, and so much more, you and your family can have the experience of a lifetime. To check our availability and book your room, call us today at 407-996-1600.